Thousands of years ago for the safety of products used snow and ice, highlighting under some sort of pantry whole room. In the less distant past, in the nineteenth century, was developed by the home glaciers that were used in life and differed little from the usual kitchen cabinets. However, fill it with ice, you had to manually that brought a lot of inconvenience. We now faithfully serve modern refrigerators, the variety of which allows you to touch the model for any family and for any necessities. Usually a refrigerator is purchased not one and not even two years. Correct the refrigerator can work for a decade, if not longer. 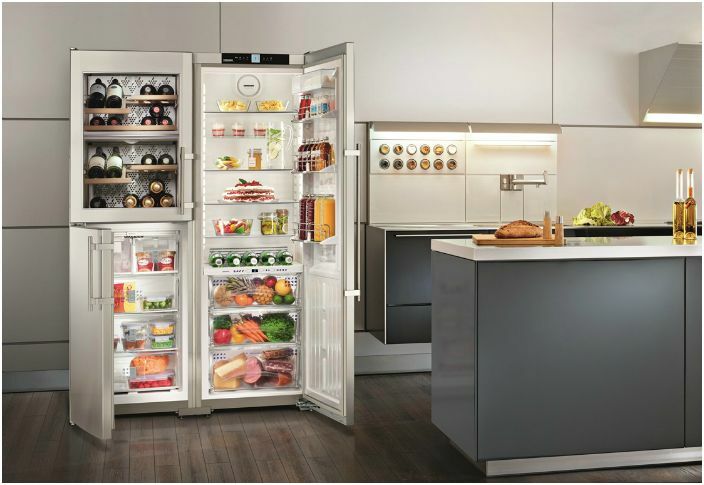 But it is important to understand the basic characteristics of refrigerators to certainly not miscalculate. In our review we have collected the most necessary parameters that will help You when buying a new reliable refrigerator that will last for the family for many years. 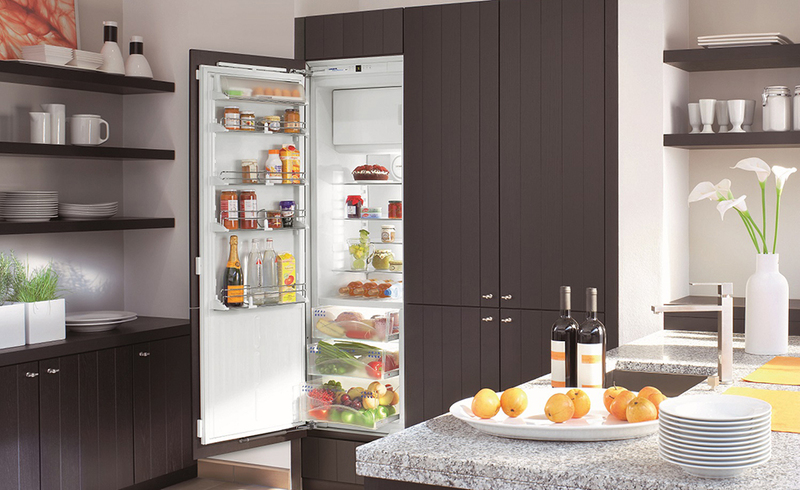 Modern refrigerators are not just faceless refrigerated cabinets, with which they remained for many decades. Today in fashion and stylish designer kitchens, and a variety of shapes and colors of refrigerators gives your imagination run wild in the interior of one of the main premises of each house according to your taste. Of course, the leading positions are still kept in classic white fridges, that are available in the market most. It is quite logical – white color is versatile and blends into any interior. 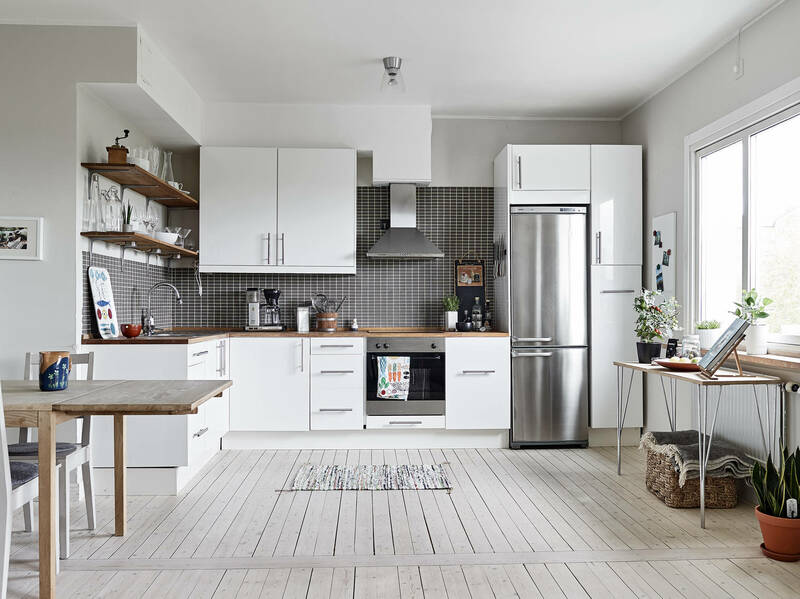 But why not diversify your kitchen and choose, for example, strict black refrigerator that will perfectly complement the interior in the Scandinavian, Gothic, or minimalist style? 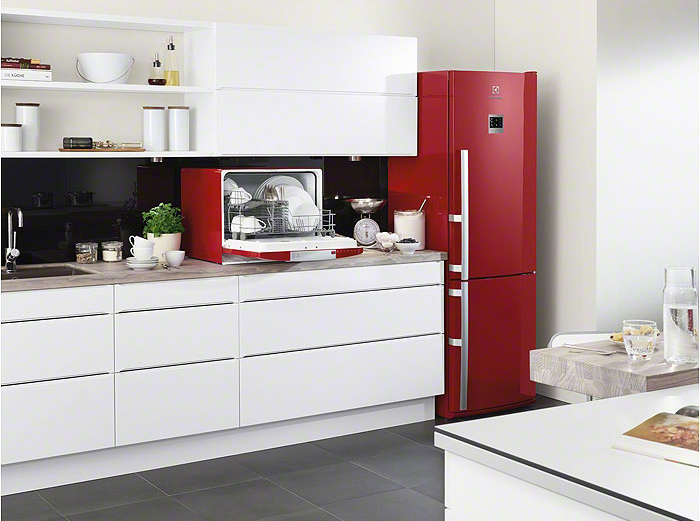 In home appliances today are not less popular grey, silver and steel tones. Often choose these colors for kitchens decorated in modern styles: high-tech, techno, futurism or loft. For the interior, in the spirit of the country, ethnic, Baroque and modern are well refrigerators in warm shades of brown, beige, gold and chocolate. Also with a special glamor model looks under the tree. Bright and rich colors are often chosen by young families who are bored with the traditional design of the kitchen. It can be blue, orange, red, Burgundy or green fridge, which will definitely bring a touch of freshness, even in the most ordinary interior. Such a riot of colors looks avant-garde, unconventional and very modern! But in addition to freestanding models now are far less frequent embedded refrigerating and freezing chambers. Their peculiarity is that they can “hide” in the shared kitchen or built into a separate Cabinet, niche or just under the countertop. It is practical as it allows you to use the area more wisely, and is an interesting design move that creates a more holistic view of the interior, not focusing on the elements of home appliances. Now one of the main parameters of the refrigerator – useful volume. The choice of the capacity of the fridge for the most part is tied to the number of family members and the size of the kitchen, therefore, is determined purely individual. Hardly a family of 2-3 people will need an impressive “rack” for 450 years, as well as a large family will satisfy 100 litre compact refrigerator. For average families of 2-4 people will be the actual volume of 250-350 litres, while larger families this may be not enough and it is better to choose from larger options to 400-500 l. Accordingly, for a few people, you can pick up a small refrigerator 150-250 L.
The freezer may be located top, bottom or side of the refrigeration compartment. Than convenient each position? If the freezer is at the top of the refrigerator, in most cases, its dimensions are small. This is useful if You freeze a small amount of products and the contents of the freezer frequently updated (that is, frozen foods are not stored long-term). The freezer may have a separate access door that is often used in two-chamber models, or to be “hidden” under a common door in a single-chamber refrigerators. The first option is more spacious and comfortable, although, in General, this design already belongs to the outdated, despite the fact that today they still make them in sufficient quantity. Bottom freezer location often choose families in which freeze more and more. The volume of freezer compartment may reach the volume of the refrigerating chamber. Usually in these freezers have drawers and shelves through which it is more convenient to sort the products. This arrangement of the freezer the first basic products are at the top at eye level and it is not necessary each time to bend over. Still a fridge, usually we use more often than the freezer. The lateral placement of freezers found in mnogodvernyh refrigerators and models side-by-side. It’s impressive size refrigerator with surprising capacity that require a lot of space in the kitchen. 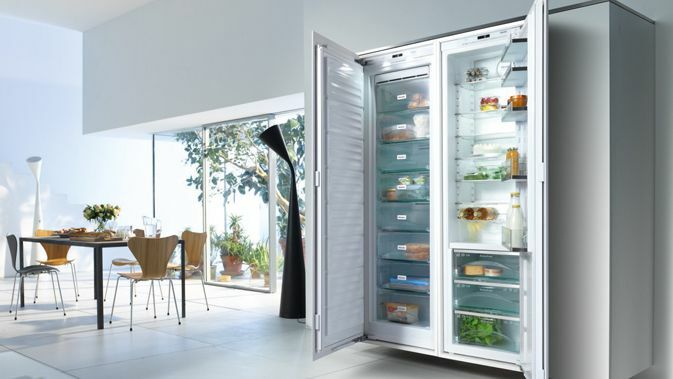 The freezer in them to match the whole design and useful volume for the most part, passes for 100-150 L.
Refrigerator such gigantic proportions is good for large spaces and large families who store lots of material in freezers. But there is one “but” – even if they can be attributed to one of the most convenient options, the cost of such models is high enough for placement in small kitchens are not suitable. Frightening ice stalactites and stalagmites in freezers and manual defrost long in the past. Modern refrigerators use a more perfect system of defrosting. Today refrigerators are two basic defrost system: drip or No Frost. The principle of operation of drip and thawing is rather simple and is used in many refrigerators. At the rear is the compressor, and under it is a special drain and reservoir for condensate. During operation of the compressor rear wall freezes and it formed a thin layer of ice. When the compressor goes into a state of rest, the rear wall is gradually heated and after some time the ice begins to melt. The resulting water drains into a designated tank, where it later evaporates, without requiring our control or participation. It’s cyclical, so on the rear panel can alternately see a layer of frost, the drops of water. Technology No Frost (or as it is called – dry freezing) works differently, while it is more effective and completely hidden from our eyes. Refrigerators No Frost compressor is located behind the rear wall or in the upper part of the freezer. In this case it involved the built-in fans (or heaters) for forced circulation of cold air, which provides uniform cooling throughout the volume of the chamber. Humid air is extracted by the heater outside the chamber and is deposited in “hidden” evaporator in the form of frost. When the fan stops working, turn on the heating element and the resulting increase in temperature, the frost melts, accumulates in a special tank and then evaporates. This system does not form salegenuine no refrigeration, no freezer, and thus provides a uniform temperature throughout the chamber. For comparison with drip system defrosting temperature differences on different shelves of the refrigerator can be 6-8 degrees. Also in the refrigerators with No Frost products are frozen without the crust of ice and kept longer because the air inside dry. The disadvantages of this technology include higher consumption of energy (although in practice the difference is not so critical), a higher level of noise (this is not as good and reliable brands that take into account this factor) and higher price tag. But perhaps these flaws can block the benefits of the system No Frost. It is important to remember one rule: whatever refrigerator You choose, with the usual drip system or the more advanced No Frost, defrost and wash the refrigerator will still have 1-2 times per year. Technology, alas, cannot be completely Autonomous and free us from basic care appliances. Any refrigerator has one of two possible types of compressor: linear or inverter. How do they differ from each other and which one is better? A linear compressor is a true veteran in the cooling technique and the principle of its operation is quite simple. The refrigerator includes a temperature sensor and the task of the compressor is to maintain it in a given framework. If there is a difference in temperature, the linear compressor begins to operate at full capacity, the cooling device to the desired temperature quickly enough. To achieve the set temperature, the compressor stops operating, the sensor continues to monitor the internal “weather” and the process repeats. The disadvantages of the linear compressor is attributed to his constant switching on and off, which consumes more (compared to inverter) amount of energy and can cause power surges as the grid is exposed to sudden loads when you turn on the compressor. Inverter colleagues have a different working principle. These compressors run smoothly and evenly, without creating stress gradients in the device. An inverter refrigerator also has a temperature sensor, but its maintenance is not achieved by switching on and off of the compressor, and by a smooth change of power. Thus, the inverter never turns off, but only reduces the speed to the desired level, and the resulting temperatures inside the chambers remains without hesitation, more stable. A definite plus is the low noise level and longer service life. Well, the downside can be called unless a higher cost, but the investment quickly pays for itself through reduced power. Alas, completely silent appliances does not happen. The source of the sounds and noises in your refrigerator is turning on and off of the compressor (especially if the selected model with a linear compressor, as discussed above) and the refrigerant flow inside the refrigerator, which is characterized by a characteristic gurgling or sounds of transfusion. The acceptable noise level for such a large appliance is considered to be 45 dB. But many manufacturers emphasize that their model works almost completely silently. It is unlikely this assertion is true – all sounds the deletion impossible, therefore not worth trusting attitude to marketing “tricks”. At least curly the name of a unique “noise-canceling” technology gives producers the right to add to the real value unit n-ing the amount. For uniqueness, of course! To reduce the noise of a home refrigerator, it should be set as evenly as possible (calling a professional or Builder’s level to help You) and provide at least a minimum distance from the wall and adjacent interior. Technical upgrade is subject to any appliances and refrigerators are no exception. They are everywhere, “smart” and acquire an impressive list of advantages, which attract the modern consumer. Let’s see now the “casters” manufacturers over their cooling creations. Protection from power surges. With such a function no longer need a line conditioner that will guard the surge – all this is provided by the manufacturer. This is especially true if You live in an area where power outage a frequent phenomenon. Area of freshness. It’s a shelf (or drawer) with a constant zero temperature, which keeps the freshness of foods such as berries, fruits, vegetables and herbs. The protection of children. A convenient function which will lock the door and control panel from children’s curiosity. The Vacation Mode. With this function, the refrigerator is running in economy mode, maintaining a temperature in the range of 10-15⁰С. Now during business trips or vacations do not have to turn off the refrigerator. Weighing door. The ability to outweigh the refrigerator door under the left arm. Dispenser of cold water. The system of cold water supply, inherent in more expensive models. The water tank can be filled manually or can be connected to the water and filled automatically. Generator ice. 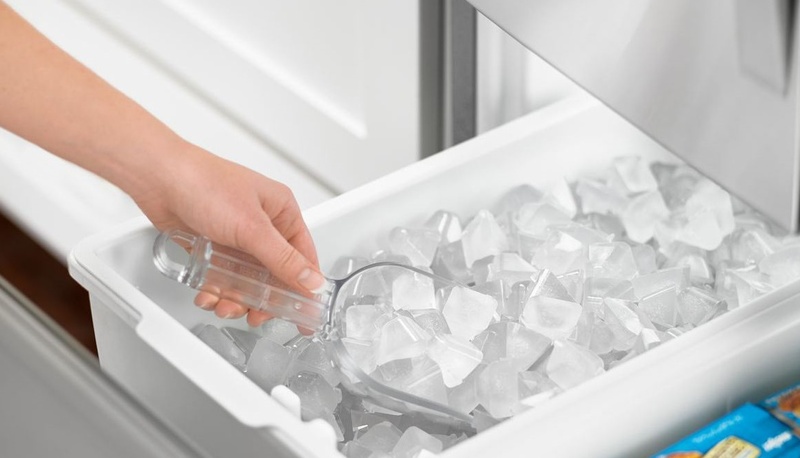 A special device located in the freezer, for freezing and storage of ice. Antibacterial coating. 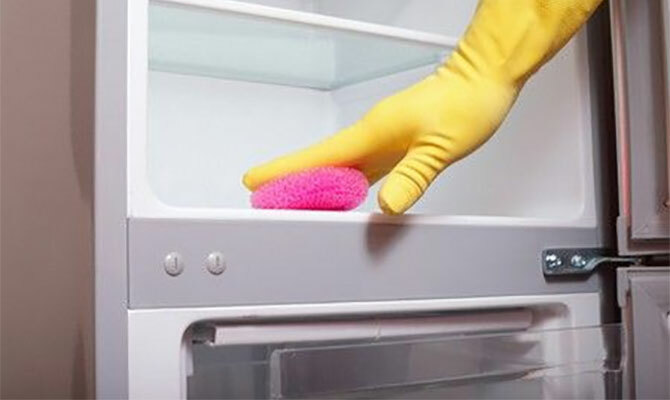 A special coating inside the refrigerator, which prevents the growth of bacteria and the formation of unpleasant odors. Wi-Fi. It is the prerogative of the most advanced refrigerators that allow you to remotely control its operation with a tablet or smartphone. For example, in order to control the temperature and operation modes of the refrigerator from the GA from LG, it is enough to install on your device the Smart ThinQ App. 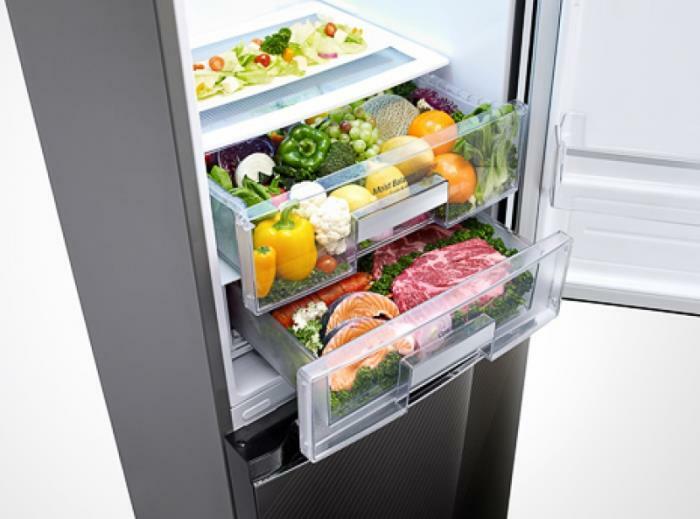 Such a refrigerator will be naturally added to the ranks of home appliances for smart homes. Indication of open door. Sound or light signal, triggered by prolonged opening of the refrigerator door. Now if You accidentally didn’t close the door, a minute later, the refrigerator about it. Superzamorozki. Is a transient regime during which the temperature in the refrigerating chamber drops below -24⁰С for emergency (otherwise call it stress) of freezing food. In the refrigerating chamber may be similar to mode – superolateral. The temperature in the fridge drops to +2⁰С, which is useful, for example, for rapid cooling of drinks. Knowing the basic features and characteristics of refrigerators, the choice in favor of a particular model does not seem so difficult. But finally, we recommend not only to determine the dimensions, the useful volume, the location of the freezer and defrosting system, but with the budget for the purchase range of prices (and functionality) to the rows of refrigerators vast. We wish You pleasant purchases, and may Your new fridge “lives” in Your family “happily ever after”! You are reading an article on the How to choose a refrigerator: tips, nuances, tricks. All materials on the site Gadgets F, а также и статья How to choose a refrigerator: tips, nuances, tricks - written for the purpose of information enrichment and we are happy if you like our magazine.